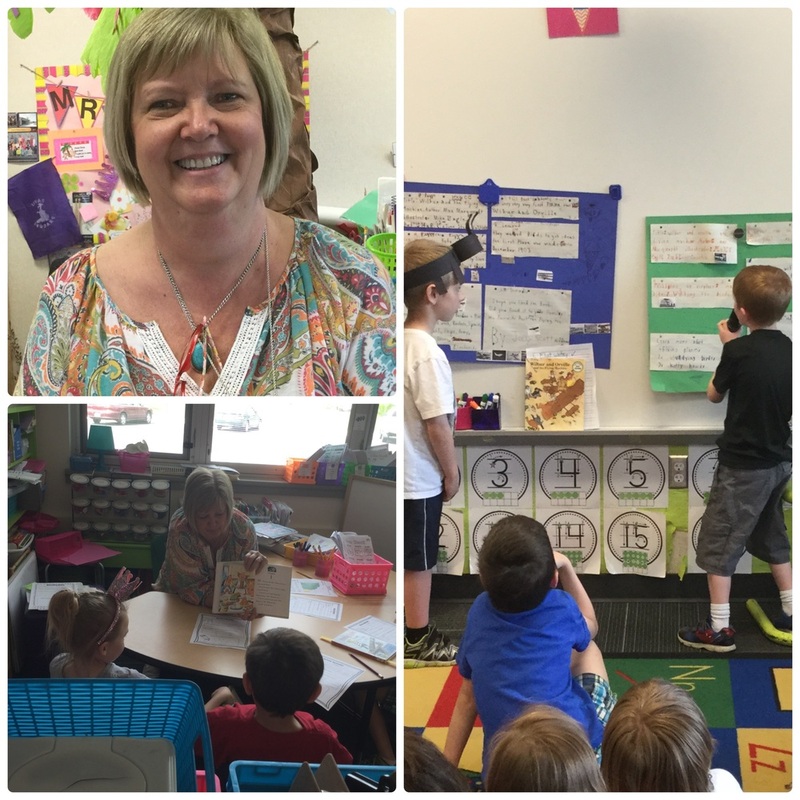 Today, we meet Mrs. Randow! Mrs. Randow has been a Kindergarten teacher for 10 years. She enjoys reading and is a teacher because she loves kids! She says each day brings a different set of challenges and that the rewards of her work are great. Mrs. Randow believes the most important thing parents can do with their kids over the summer to prepare them for Kindergarten is to work with their children on simple learning activities through fun and games. For example: count how many grapes on your plate, or how many cars you pass while driving. Play sound and rhyming games, such as, "'Boat' starts with 'b', what else starts the same?" or "'Fog', what else rhymes with 'fog'?" In this picture, Mrs. Randow is working with a leveled group of Kinder readers. Several students are working with her in a small group, practicing reading strategies, and several other students are shown giving a presentation on a book they read about the Wright Brothers at Kitty Hawk.